The state of Iowa sits in a valley right in between the Mississippi River and the Missouri River in the central part of the United States. Iowa is bordered by Minnesota to the north, Wisconsin to the northeast, Illinois to the east and southeast, Missouri to the south, Nebraska to the west and southwest, and South Dakota to the northwest. The principal agricultural products of Iowa are corn, hogs, soybeans, cattle and dairy products. The wide open fields of alfalfa that you can find everywhere are an ideal area to have located near your bee yard location. Bees can make millions of pounds of sweet, flowery honey each year from all of the alfalfa and clover. This type of honey is a highly sought after commodity due to its light color and excellent sweet honey flavor. It really is the best tasting honey around! Keeping bees inside of city limits is also becoming an increasingly popular thing to do; the home gardens, flowers and flowering trees that can be found all around create an abundance of food sources for bees. Beekeeping has been a major activity in Iowa since the early 1900's, with hobbyists and commercial beekeepers alike, and the Iowa Honey Producers Association was started in 1912 to help all beekeepers. 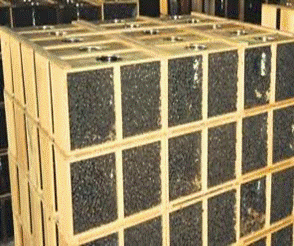 Lappe's Iowa Central Iowa Bee Supply is proud to manufacture & supply both hobbyist and commercial beekeepers alike with quality beekeeping supplies & equipment, information, online ordering & fast, free shipping! Some of the listings for the largest cities in Iowa include Des Moines, with a population of 217,521, the capital city located right in the central part of the state and also the home of the world famous Iowa State Fair; Iowa City, home of the University of Iowa; Cedar Rapids; Long Point; Sioux City; Ames, home of Iowa State University; Ankeny; Council Bluffs; Marshalltown; and Altoona, home of Adventureland, a famous amusement park that features over 100 rides, shows and attractions. 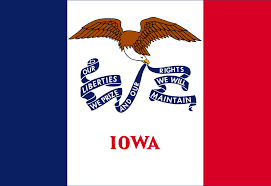 Famous people from Iowa include John Wayne, actor; Morgan Earp and Warren Earp, brothers to Wild West Marshall Wyatt Earp; Bob Feller, baseball pitcher for the Cleveland Indians; Ann Landers, advice columnist; Cloris Leachman, actress; George L Stout, art historian and "Monuments Man"; Russell Stover, candy manufacturer; and Henry A Wallace, politician and 33rd Vice President of the United States. Lappe's Bee Supply and Honey Farms LLC is a Central Iowa Bee Supply of packaged honey bees, nucs and free shipped Carniolan, Italian and Saskatraz queen honey bees for sale. We are located at 117 Florence Avenue East Peru Iowa 50222. Give us a call at 641-728-4361! We are suppliers of Iowa honey, 100% beeswax, new beehives, protective clothing & bee suits, migratory pallets, bee hive frames & foundation, beekeeping tools, winter & spring honey bee feed & feeders, medications & pest control, queen rearing supplies, beekeeping books & magazines, creamed honey & craft supplies, honey extractors & honey extracting supplies, honey containers and honey labels. We also carry some Dadant & Sons products. We offer free shipping on all of these supplies for sale to all of the United States, including Alabama, Arizona, Arkansas, California, Colorado, Connecticut, Delaware, Florida, Georgia, Idaho, Illinois, Indiana, Maxwell Iowa, Kansas, Kentucky, Louisiana, Maine, Maryland, Massachusetts, Michigan, Minnesota, Mississippi, Missouri, Montana, Nebraska, Nevada, New Hampshire, New Jersey, New Mexico, New York, North Carolina, North Dakota, Ohio, Oklahoma, Oregon, Pennsylvania, Rhode Island, South Carolina, South Dakota, Tennessee, Texas, Utah, Vermont, Virginia, Washington, West Virginia, Wisconsin and Wyoming. We also ship to Hawaii and Alaska, and we also ship to other countries of the world, including Canada, China, the United Kingdom (including all of Great Britain and the northern portion of Ireland), Germany, Australia, France, New Zealand, Mexico, Italy and Sweden. We offer free beekeeping classes and can answer any and all of your beekeeping questions. We want to help you to do well along your beekeeping journey! It doesn't matter if you are located on the East Coast, the West Coast, the northern, southern, eastern or western parts of the United States, or the Mountain regions in between, we are here to help you become a great beekeeper, and we can supply you with all of the quality beekeeping equipment you will ever need, including beginner beekeeper starter kits, spring, summer, fall and winter beekeeping supplies, and honey bee supplies on sale now. Did you know that we also have Maxant extracting supplies and equipment that you can buy now from our online store? Lappe's Bee Supply Honey Farm is a company supplier of beginning beekeeping supplies, and we have all of the beekeeping supplies and equipment that you will need to get in the fast lane for successful beekeeping! Helping Beekeepers Around The World!